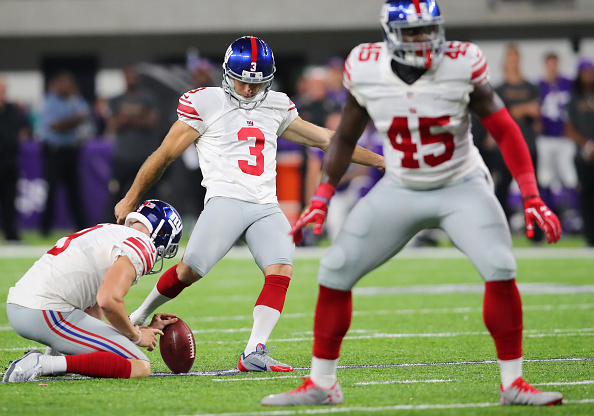 Giants kicker Josh Brown was at practice Thursday, but he may be facing an indefinite suspension after the newest domestic violence allegations levied against him, James Kratch of the Newark Star-Ledger reports. And at the very least, he is now back under NFL investigation. 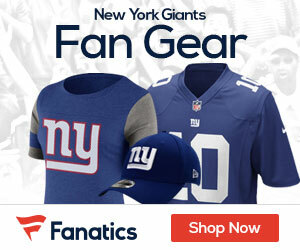 According to Bleacher Report’s Jason Cole, the NFL and Giants are discussing that option after police documents emerged that show Brown apparently admitting in writing to emotionally and physically abusing his wife. Brown was suspended for the first game of this season due to a violation of the NFL’s personal conduct policy stemming from a May 22, 2015 domestic violence arrest after an altercation with his wife. NFL investigators made repeated attempts—both orally and in writing—to obtain any and all evidence and relevant information in this case from the King County Sheriff’s Office. Each of those requests was denied and the Sheriff’s Office declined to provide any of the requested information, which ultimately limited our ability to fully investigate this matter. We concluded our own investigation, more than a year after the initial incident, based on the facts and evidence available to us at the time and after making exhaustive attempts to obtain information in a timely fashion. It is unfortunate that we did not have the benefit or knowledge of these materials at the time. In light of the release of these documents yesterday, we will thoroughly review the additional information and determine next steps in the context of the NFL Personal Conduct Policy. We will not be making any comments on potential discipline until that time. According to Cole, an indefinite suspension would be based on the precedent set by the NFL’s prior handling of domestic violence cases involving ex-Rutgers star Ray Rice, Vikings running back Adrian Peterson and controversial defensive end Greg Hardy.